Tyler Perry has announced that his upcoming film “A Madea Family Funeral” (out March 1st) will be the final Madea motion picture. Next year, Perry will also be going on one final stage tour as the iconic character. Madea has been around for 20 years. Her first play appearance was in 1999’s “I Can Do Bad All By Myself”. Her first big screen appearance was 2005’s “Diary of a Mad Black Woman”. The film shot to No. 1 on opening weekend (Oscar weekend) and grossed $50 million. Over the next 12 years, Madea would star in 7 other live-action movies. 2009’s “Madea Goes to Jail” opened to a gigantic $41 million and earned $90M total. Her trio of holiday movies also performed well, including 2013’s “A Madea Christmas” (co-starring Larry the Cable Guy, what a combo). 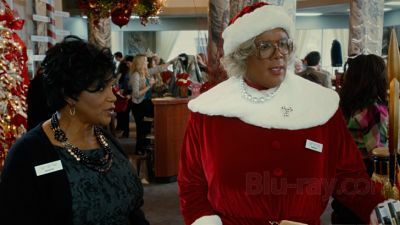 In 2015, Perry voiced Madea for the direct-to-DVD animated movie “Madea’s Tough Love” (there aren’t that many live-action characters that get their own animated film). 2016’s “Boo! A Madea Halloween” came from a satirical joke in Chris Rock’s comedy “Top Five”. Lionsgate heard the joke, called Perry and asked him if he could actually turn it into a movie. The result: $73M and a 2017 sequel (“Boo 2!”) that easily opened at No. 1. 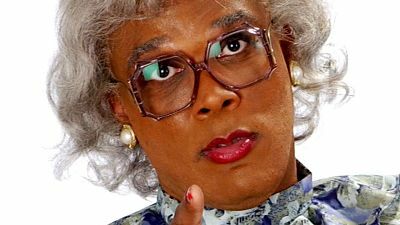 The box office grand total for the 8 theatrical Madea movies: $500 million. Not many directors can say their films have grossed half a billion dollars (let alone a comedy franchise). Perry is one of the most successful writers, producers, directors and actors in the business. His story is incredible and undeniable. In recent years, Perry has briefly stepped away from the beloved character to focus on more serious fare, both in front of the camera (“Gone Girl”, the upcoming “Vice”) and behind it (“Acrimony”, “Confessions of a Marriage Counselor”). He’s also hoping to bank some more dollars as director of the new comedy “Nobody’s Fool”, in theaters this weekend. However, it’s being marketed much more as a Tiffany Haddish movie than a Tyler Perry movie. Madea has been a prominent figure of modern popular culture, especially for the African American audiences who embraced this character and Perry wholeheartedly. When I saw “Boo 2!” last year, nearly everyone in the theater was laughing, screaming and crying at her on-screen antics. She still resonates with us. She’s relatable – no matter your gender or ethnicity. She represents someone in our family or someone we know: loud, outspoken and sensitive. 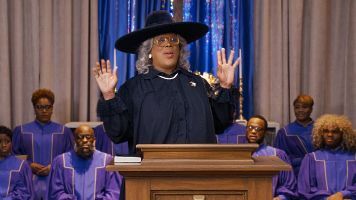 “A Madea Family Funeral” opens March 1st, the Friday after the Oscars. Having her present a category would be one heck of a kickoff to her year-long send-off. In the meantime, the first trailer has been released: check it out.